Acadia will be 4th of July. I'm going to Pennsylvania this month and then after that I'm going to drive to Virginia Beach. I'm planning on driving on the Chesapeake Bay Bridge (US 50), barely driving into Delaware on DE 54 to add another state to my list (will be my 35th state), and then driving across the Chesapeake Bay Bridge-Tunnel system (US 13). I also might end up taking 4 days off at some point and drive up to northern Ontario in either August or September. I always enjoy my time up there. Just wrapped up a 3300ish mile trip. Denver to Cleveland via I-80 and I-90 to check out the Rock and Roll HOF, then onto Niagara Falls via Buffalo along I-90. From there into Toronto to spend a couple of days (the 401 certainly gives the 405 in LA a run for its money in terms of traffic! ), then back to the states via the Ambassador Bridge in Detroit with stops in Chicago (I-94) and Kansas City (I-55 and I-72/US 36) on the way back to Denver (I-70). Back from Acadia. Went to the scoodic peninsula, very nice with not a lot of people. Then, I'm driving on I-75/I-40/I-81 on July 19 and July 20 back up to home. I'll be driving to Dandridge, TN in early September for the annual RMCA meet. Probably take I-40 there then hit the US Highways heading home. A couple weeks ago, I drove to McAlester, OK, then McKinney, Greenville, and Paris TX, teast through Hugo, Idabel, and Broken Bow, OK to DeQueen AR and home. Is rmca the ymca for another gender? Dandridge seems to be an odd location for this meeting. It's on the periphery of the Smokies, but I can't see anything that would cause it to be a great draw. The meet is Sevierville, but the hotel is Dandridge. It's also the Dixie Gas Swap Meet. The cheaper hotels must be Dandridge. Just came back from a pretty straightforward trip out west. Flew out to SLC and drove to Champoeg State Park in Oregon for my sister's wedding. Stopped to see friends in Boise. Standard I-15 to I-84 to I-5. Headed out on US 26, came down US 101 hitting a bunch of state parks. The interesting bit is that we wanted to go to Hiouchi, CA to see Stout Grove. However, US 199 was closed because of a major accident east of the town. Headed to Crescent City to the NPS information center there and the nice volunteers told us we could take Howland Hill Road instead and would be let through on the other side of town. Best detour I have taken, ever. Spectacular forest on a 1.5 lane dirt road. Came right into Stout Grove and thought the trees on the road were more dramatic. Anyway, ended up driving past the crash site on our way out and saw rescue workers roping up to descend into the wide gorge. Evidently, a vehicle flipped the guardrail. Other vehicles were involved. Anyway, headed out to and stayed at Oregon Caves National Monument, then headed up to Crater Lake and came back to SLC via OR/NV 140 ("Winnemucca to the Sea"). Meanwhile, I'll be headed out on my summer roadtrip/vacation sometime next weekend for a few weeks. Out to Minnesota and back, via Lafayette, IN on the way out and probably through southern Canada on the return trip. Yeah, for like 5 minutes, before I turned around and went through US Customs. If you want to, you can count Quebec as my third Canadian province traveled. First time I've to Canada for about 11 years. Nyc might be in the works for August. I just got done with a couple of small trips. I went on a route-clinching journey to West Virginia a couple of weekends ago. Then I went to western Kentucky to scout for the meet I'm proposing. The upcoming Twin Cities meet is going to be my longest trip in several years. Just returned from my annual road trip to an ultra trail race. I've got a sign for the Road sign city name photo game thread that if played correctly could give up to 5 choices to play from per the A-Rule . There's a possibility I may end up going to the NYC-Long Island area sooner than I planned. I don't want to go into the reasons why. Just completed my main road trip of the summer. 2.5 weeks, 6400 miles, 12 states and one Canadian province. 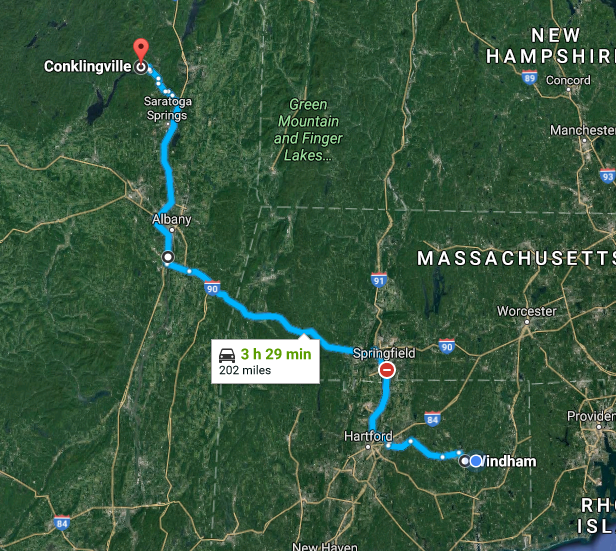 I'm going on another trip on the 13th to upstate New York, in the middle of the adirondacks. I've been there twice already, so I believe there won't be much to clinch driving wise, but photos will be brand new. I'm going up sometime after Labor Day. I'll explain why after the trip. And with any luck, I'll still go up by myself again in November. 3) Driven to central TN and back for the eclipse. Didn't pick up that many counties or interstate mileage, but did finally clinch the entirety of I-70. Saw a decent number of National Park Service sites, too, including the Dry Tortugas. 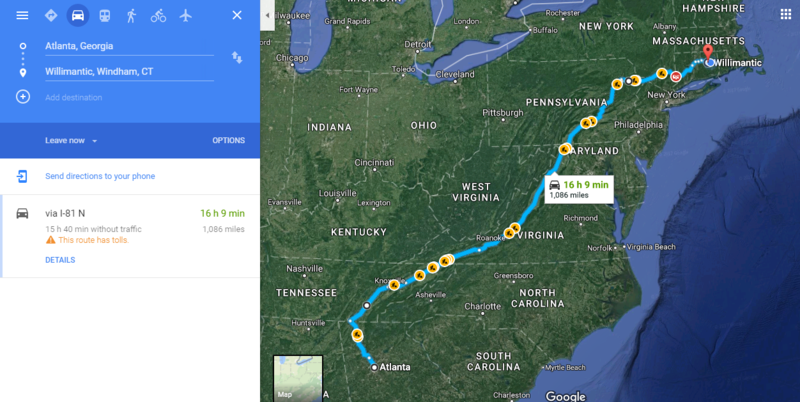 One more trip planned this year to head to Nashville (further west than where I was for the eclipse) in November. Good year for getting out, if not for improving my stats. - Kankakee meet Memorial Day Weekend. Made that a week and detoured to grab 5 state high points on the way home, plus got a new state (Wisconsin) and a ton of new mileage. - Northern Tennessee for the eclipse. Finally got clinches of I-71 and I-79, plus a bunch of 3DIs, a couple Kentucky parkways and some state routes. I did a couple of multi-day clinching trips back in June to finish clinching NY, with another planned to finish off Vermont next month (only ~1/4 of the state left). My two big summer trips are complete. Mostly Florida and known territory (visiting people) back in June-July, and the just-completed trip to Nebraska for the eclipse. I picked up a lot of new clinchables on the recent trip: a new minor league ballpark in Louisville, filled a gap in I-75 in Ohio, US 60 (for the most part) between Louisville and the Evansville area, a new route through western Missouri, a circle in eastern Nebraska out from Omaha to Grand Island on mostly US 34, back on mostly US 30, and some US 6 in western Iowa, all of that giving me about 10 new counties too. Also made my first visits to the Rock and Roll Hall of Fame, Great Lakes Science Center, Neil Armstrong Museum, and Louisville Slugger museum/factory.